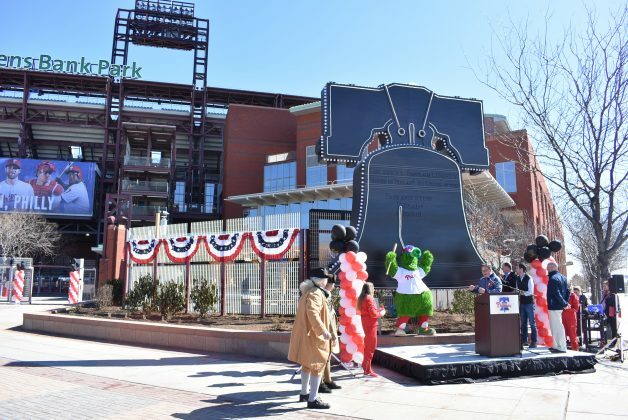 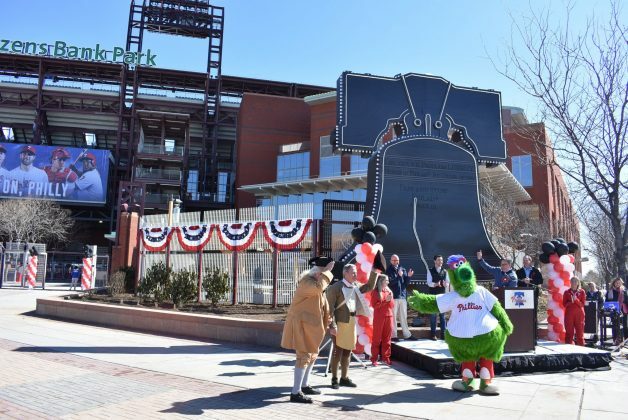 The 2019 season will mark the 15th anniversary of the Phillies calling Citizens Bank Park home. The stadium has gone through a number of changes over the years, and this year is no different. 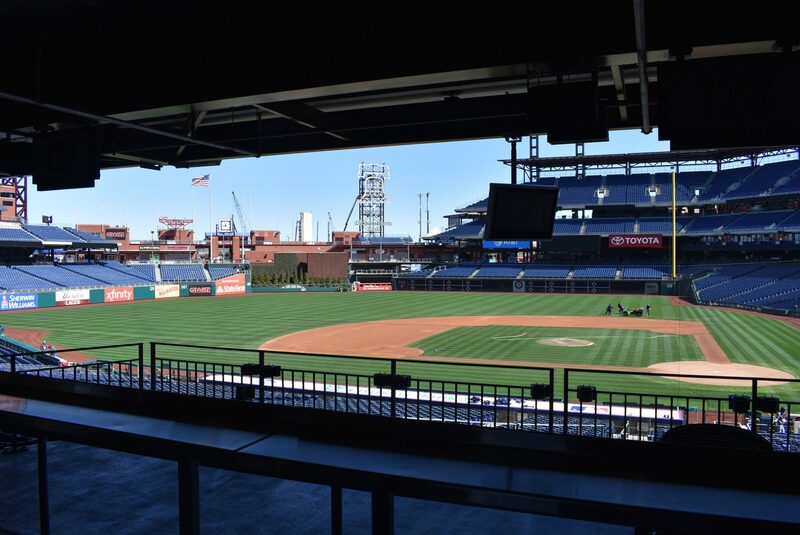 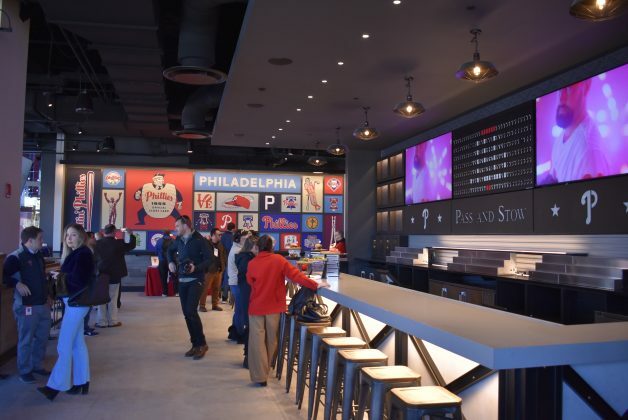 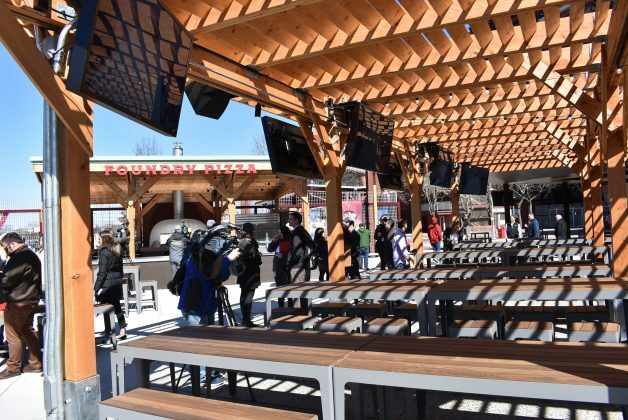 Check out some of the new fan destinations on hand at Citizens Bank Park for this year’s Phillies season. 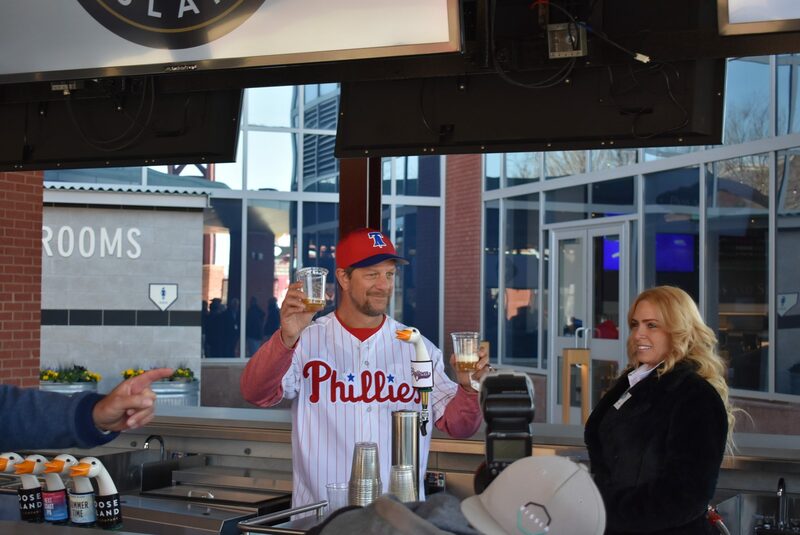 Phillies ambassador and former All-Star Mickey Morandini pours some Goose Island beers for members of the media at Pass and Stow, a new sports bar that replaces McFadden’s at Citizens Bank Park. Pass and Stow was named for John Pass and John Stow, two Philadelphia foundry workers who recast the liberty bell in 1753. 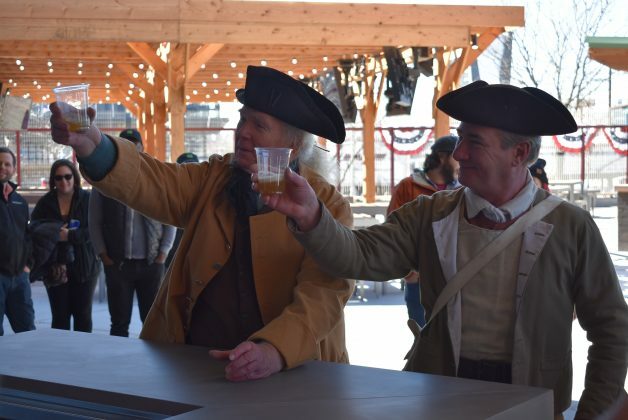 John Pass and John Stow were on hand at the media event to Cheers to the new sports bar near the third base gate. Right next to Pass and Stow is the new brick oven pizza spot, Foundry Pizza. 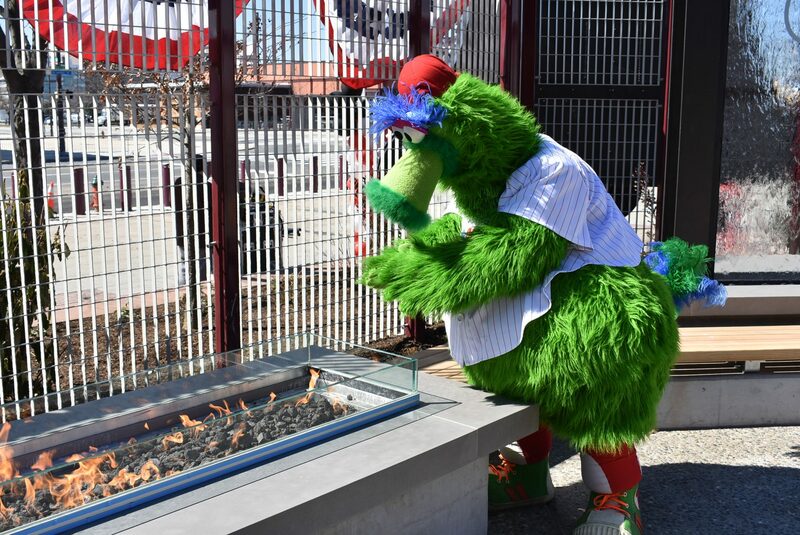 The Phanatic warms his hands near the fire at Foundry Pizza. 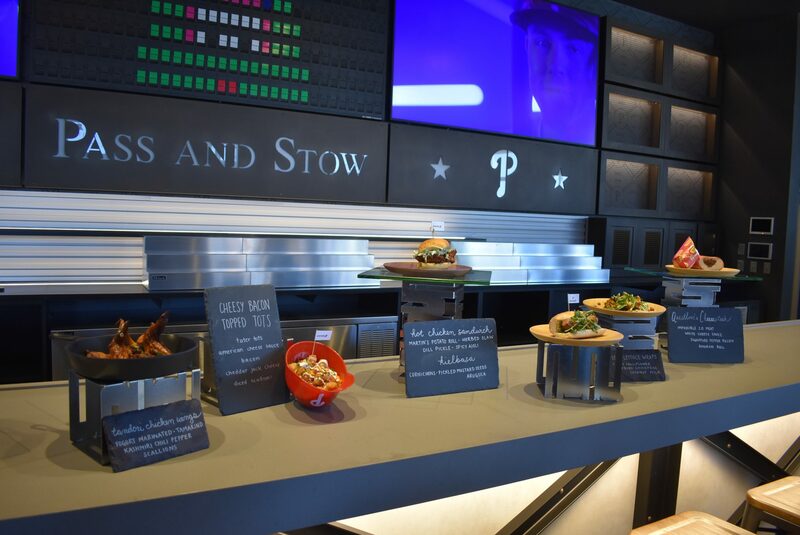 A look at the donut burger served at Pass and Stow. 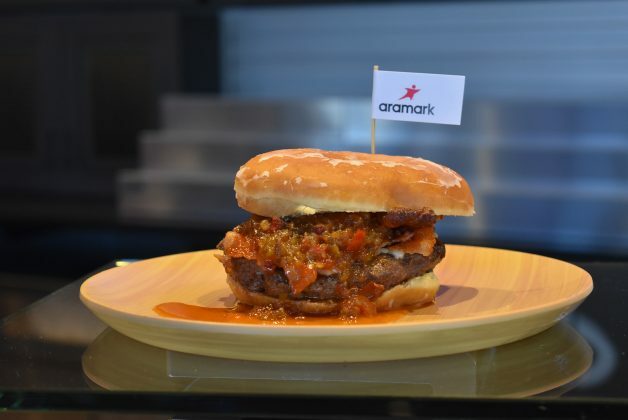 It features fresh beef, cheese, bacon and spicy cherry pepper jam on a glazed donut. 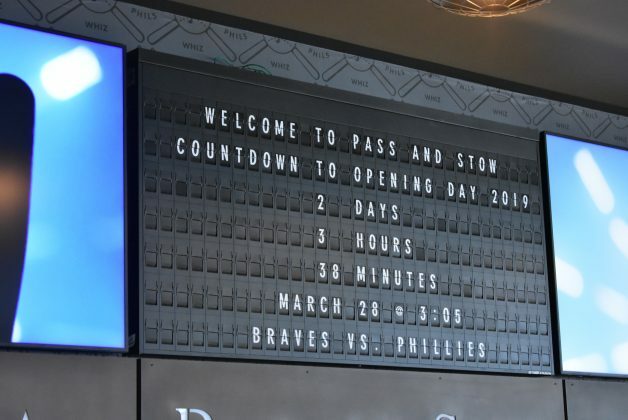 Pass and Stow is complete with a flip board as an homage to 30th Street Station. Also new this year is a Shake Shack. 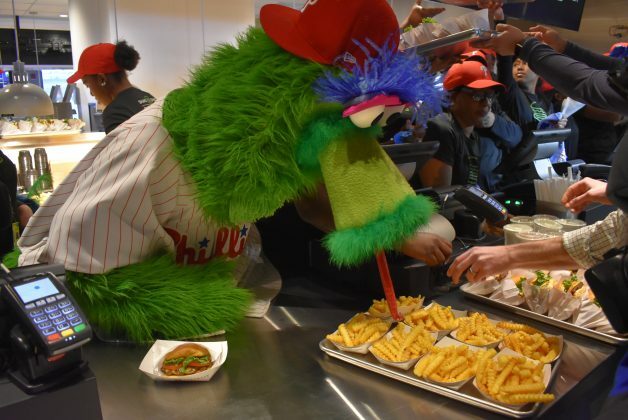 The Phanatic couldn’t contain himself when batches of fries were placed in front of him. Only one more day until the home opener! Loads of new apparel are on sale at the New Era Phillies Team Store. 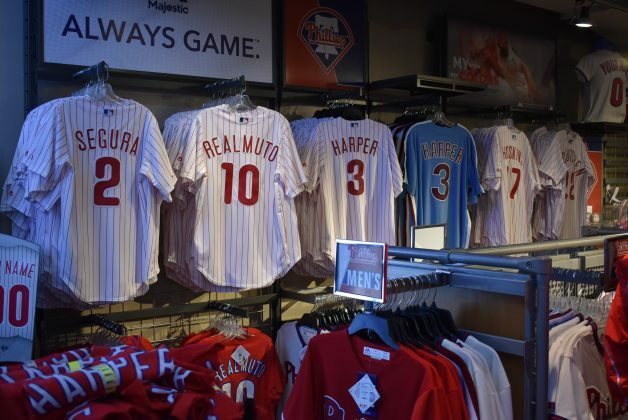 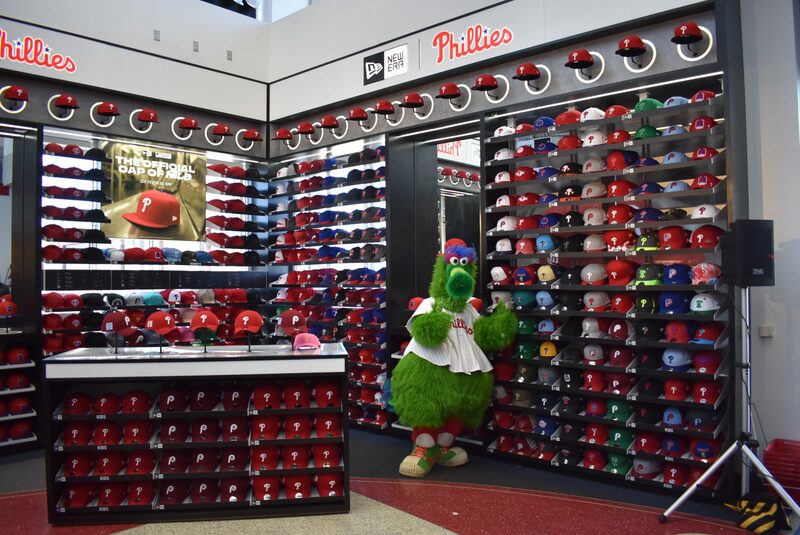 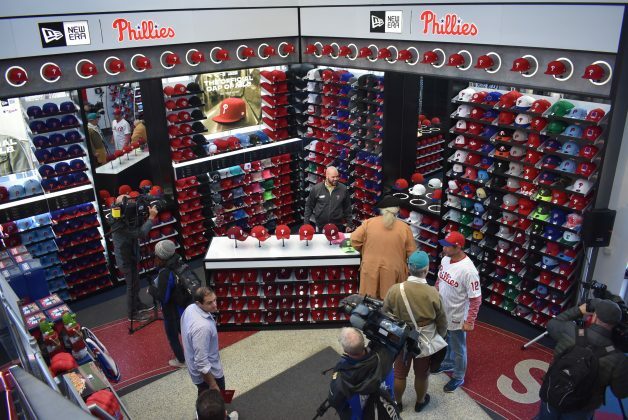 According to the Phillies, the New Era Phillies Team Store is home to largest cap wall in the country. 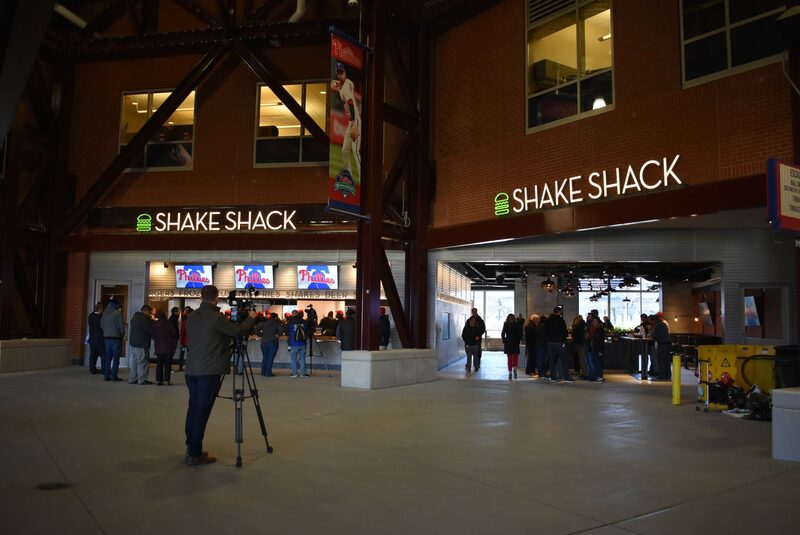 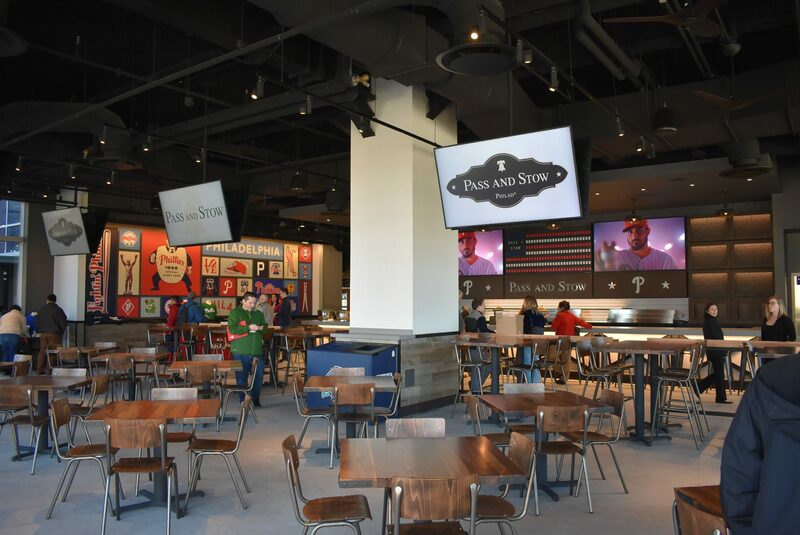 Another look at the new Shake Shack at Citizens Bank Park.